I am tidying up my studio. 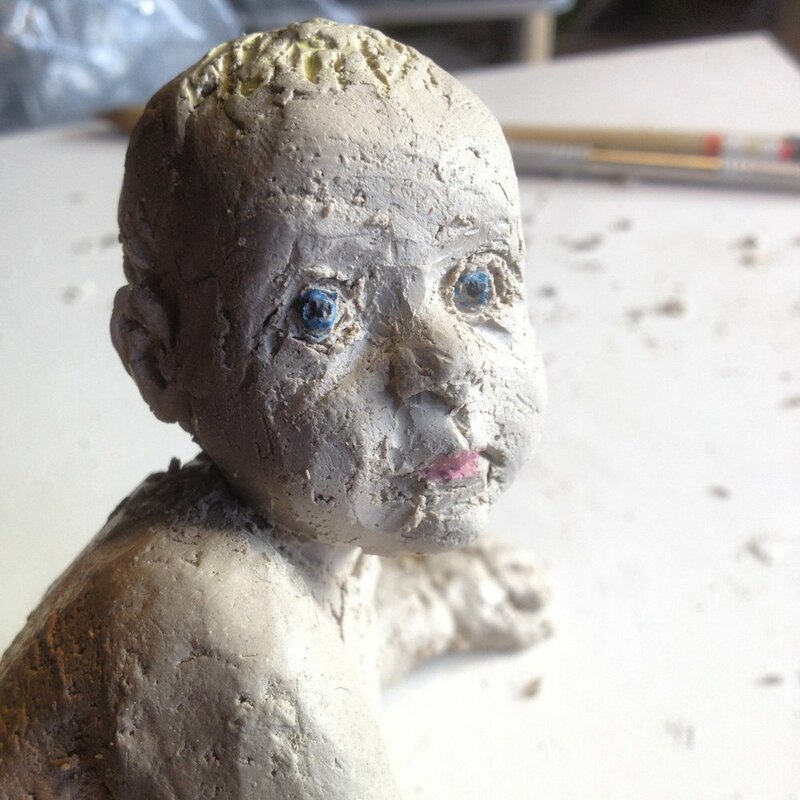 Going through bags of clay, half way dried out with half finished sculptures in between. Then I find a just started portrait of my daughter. It has been there for years, it is my toddler daughter. In the blink of an eye I remember how she felt, the softness of her skin, her remarks, how much I love her and even though the portrait isn’t finished, I fire it. I just found a treasure!